Coin-hunters across Australia will be on the hunt for a special new addition to their collection in the coming weeks. As part of this year’s Remembrance Day commemorations the Royal Australian Mint will press a limited edition orange coloured $2 coin. The coin is the fifth coloured coin to ever enter circulation in Australia, following the release in April this year of a red-ringed coin to celebrate the ANZAC Centenary. Life long Brisbane coin collector Malcolm Bessie said the coloured coins are a new and interesting addition to the mint’s limited edition coin output. “They have only been putting them out in the past couple years,” Mr Bessie said. In a statement, Royal Australian Mint CEO Ross MacDiarmid said the coloured coins are a prized item among collectors and the general public alike, which helps to reinforce the powerful message the coins carry. “Commemorative coins play a significant role in reaching many Australians and conveying an important message, everyone who finds this coin in their change will be able to reflect on the Anzac Centenary and Remembrance Day,” Mr MacDiarmid said . 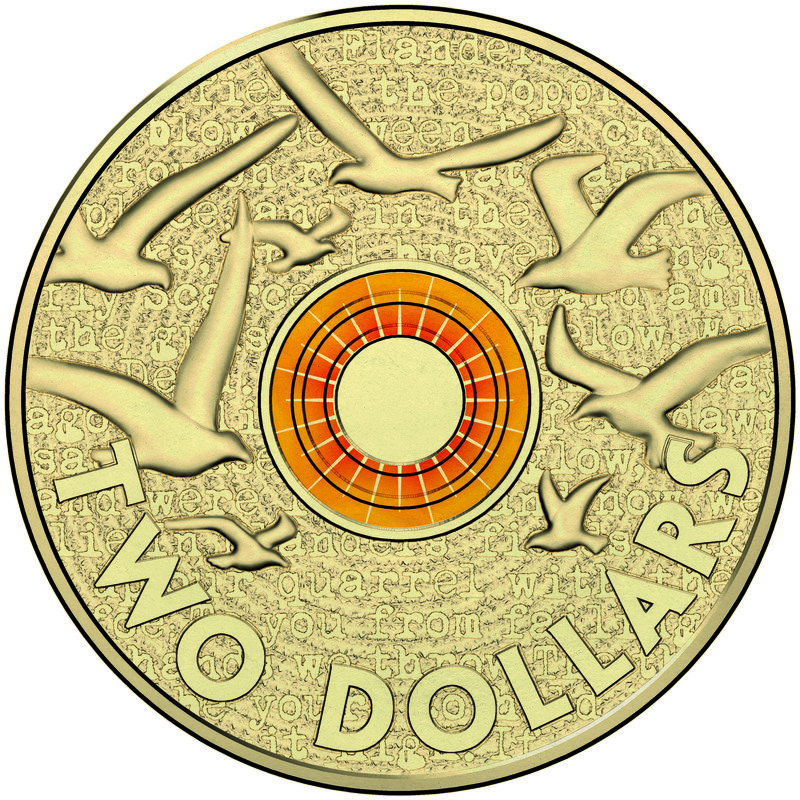 Collectors can purchase the coins at face value directly from the mint, or wait until the coins reach general circulation to try and catch one in the wild. « Opinion: Political Donations or Legal Corruption?